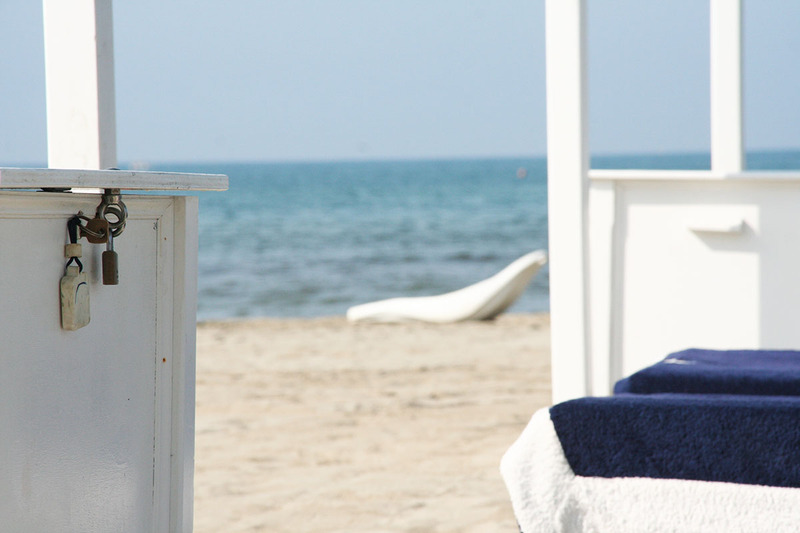 Sirena Beach Club provides classic awnings on the seafront, equipped with two deck chairs, two sun beds, one chair and a table which has a lid and security lock in which to store your valuables, along with supplied beach towels. 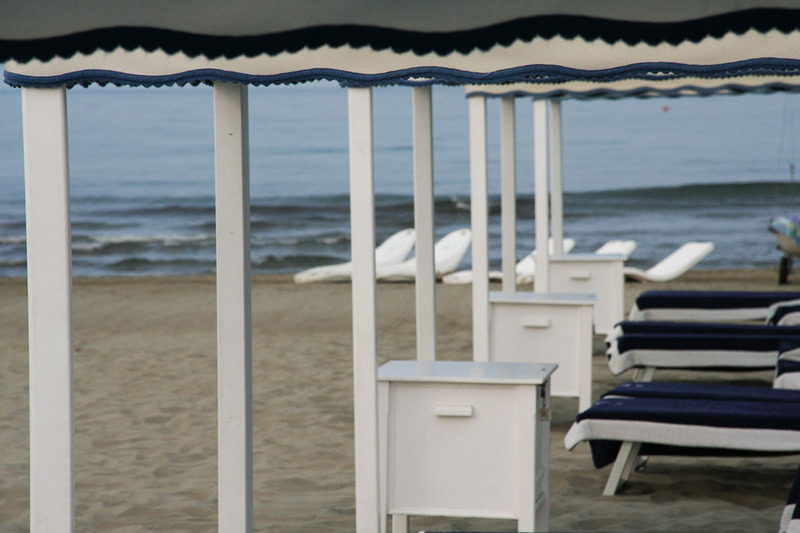 We have umbrellas with two deck chairs, one chair, one sun bed and a side table. We have 42 individual beach huts, many of them equipped with hot showers. There are four showers located in the garden and one shower on the seafront available to all Sirena Beach Club members.Two hot showers are available upon request throughout the day. Free WiFi service on the beach. 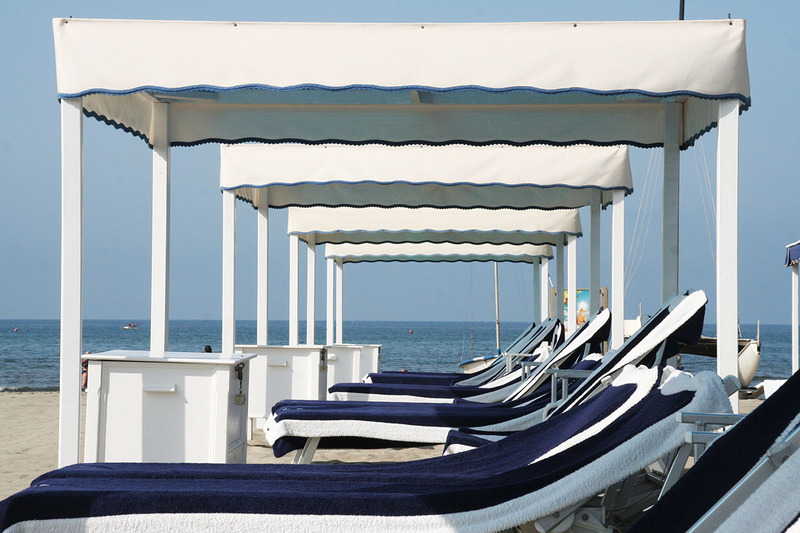 White sun beds at the edge of the sea for short relaxing periods . Restaurant and bar service under your own awning between 12h00 and 15h30 . A green and shaded area set a short distance away from the sea under which to relax next to the bar and restaurant. Security boxes are available for your peace of mind on a daily basis.